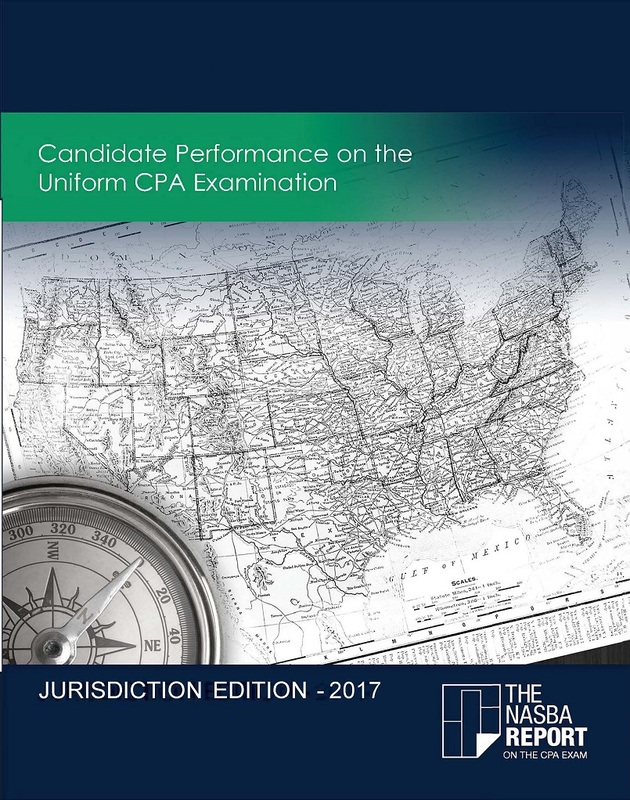 Designed specifically with the State Boards in mind, this report provides a broad view of CPA exam trends from around the world. This book is the updated version NASBA's standard Annual Report. The reporting period is based on calendar year and is available to the general public by February/March of the following year. Content Area Performance: In addition to the four primary sections (AUD, BEC, FAR, REG), the new publications will include performance metrics by cohort for each of the 18 content areas, as well as the simulation and written portions of the exam. The content area performance metric represents the percentage of students who received a comparable or stronger score for that area. Pipeline Reporting: This section of the reporting provides in-depth analysis of a candidates path through the examination process, whether they pass all four parts or choose to drop out. In 2017 there were 25,834 candidates who passed their 4th part of the exam and 57,821 remained active in the examination process at the end of the calendar year. Cohort Tracking: All candidates who begin the examination process in the same calendar year are members of the cohort. Presenting the data in this way allows for a more accurate analysis of trends in the accounting pipeline.